I am Dr Gopi Nallaiyan, a paediatric cardiac surgeon. I have operated over 1000 paediatric cases in my career and have worked in hospitals across India. We are based in Madurai, a town in South Tamilnadu. In 2015, I met a sweet, bright 6-year old girl with an inevitable fate – an early death. The saddest part was that though she’d been diagnosed with congenital heart disease when she was 6 months, her parents didn’t know where to go, what to do or who to approach. They went to the local physician who sent them to the tertiary center who then sent them to Chennai where they were shell-shocked by the costs involved in the treatment. As a result, by the time she celebrated her 6th birthday and came to us, her condition was inoperable and chances that she would celebrate many more birthdays were negligible. Seeing SO many patients like this little girl while being a father to two little children of my own, I knew I had to do something. It wasn’t an easy decision to quit a well-paying job and start an NGO, but I had to stop feeling helpless and standing by watching the lives of these bright, beautiful children being snuffed out by CHD. 2 out of every 100 children are diagnosed with Congenital Heart Disease. 78,000 babies die every year due to CHD. The numbers are huge and shocking. We’re losing young lives every day and awareness will play a huge role in helping these numbers come down drastically. When free treatment isn’t available, the children’s lives are left to fate and their inevitable passing away is accepted. We need to change this morbid state of affairs and give children from the lower economic strata an equal chance to live a long and healthy life. We’ve conducted 5 camps since November 2016 with 15 surgeries and over 4200 screenings. 3 out of the 5 camps were conducted at schools. 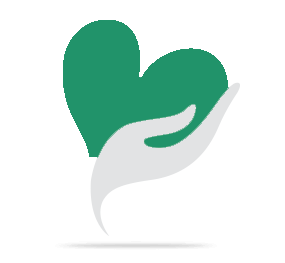 Our vision is to ensure every parent, especially those in the lower socio-economic stratas, is aware about congenital heart disease and understands the importance of early diagnosis and treatment while making the treatment for CHD easily and freely accessible. Meet 6-year old Aorses Neya and her 4-year old brother Sam. Both these sweet children were diagnosed with Congenital Heart Disease within a month of their birth. The parents had taken them to many hospitals seeking treatment but the finanical burdens of getting BOTH children treated was virtually impossible for them. With each surgery costing 1.5 lacs to 2 lacs, their father – a daily wage laborer had lost all hope. That is when they heard about our Madurai camp in November 2016 and brought both of them there. Dr Gopi Nallaiyan screened and scheduled surgery for the siblings in December.Both of them were operated in December and even celebrated Christmas with us! Another heart-warming story that will forever be remembered by our team is that of Kannan, a 15 year old lanky boy who had been diagnosed with Congenital Heart Disease within a year of his birth. But due to lack of awareness and fear of parents to visiting hospital he didn’t get treatment for 15 years. He had dropped out of school at 9 years because of his health issues and was living the life of a disabled person at home. After examining him, we counseled his parents about the disease and what would happen if he were not operated. Happily, after much hesitancy, his parents agreed for the surgery. Kannan was successfully operated in December 2016. Today, with the help of our in-house counsellor, we are now preparing him to appear privately for his 10thclass exams and have planned to get him enrolled in a polytechnic so he can learn a trade to earn a living. 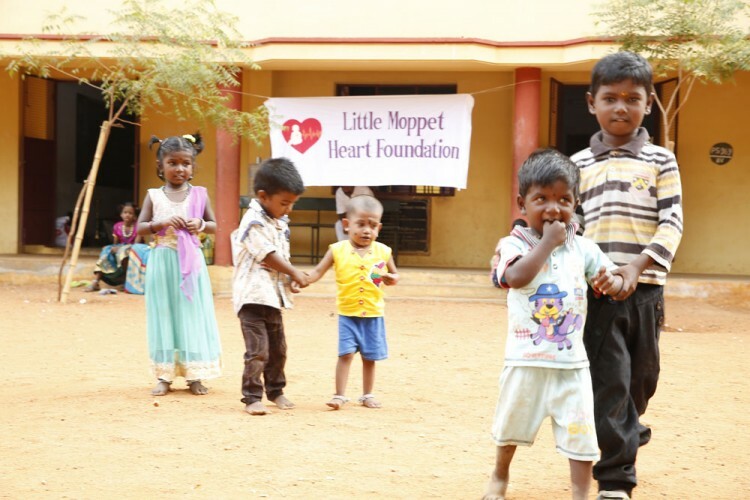 The Little Moppet Heart Foundation is poised to create a powerful impact on the heart health of the future generation. Our first and biggest challenge is raising funds. Each surgery costs 1.5 lakh to 3 lakh and though we have received generous funds from our friends and family, we need more support from the public and also, corporate sponsors to support our efforts in saving lives. We have a waitlist of patients who need surgery, but our funds aren’t enough to help them. Each Cardiac Surgery costs anywhere between 1.5 lakh to 3 Lakh depending upon the complexity of the disease. Every Single rupee counts and will help heal a heart. The funds generated will be utilised for the medical and surgical treatment for the children. We have many children awaiting heart surgery and your donation will help heal a little heart. Your share could be as good as a donation for Little Moppet Heart Foundation! Not everyone can afford to take care of their loved ones. Little Moppet Heart Foundation's life can only be saved by donations made by kind people like you.